I got an email from one of my viewers. She needed help with foundation recommendation shades. She has a skin tone like me and wanted to know what I liked to use on myself. As you know, I've tested out a whole lot of products in my day, but I do have a few favorites that really stick out. You may be surprised at the results. Oftentimes, I get questions about what shades I recommend. It's difficult in that I don't know the exact shade names and numbers for every product line out there. However, I am pretty familar with what I wear. If you're around an NC42 in MAC, or you're considered a tan, medium dark shade, you may want to check out this post to see what foundations I recommend. These are items that I actually wear on myself. I read your blog everyday and love your product suggestions since we are the same complexion. 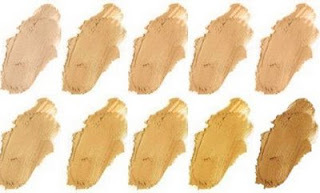 I wanted to know what foundations you like and what shades you wear, especially more of the professional lines as I feel like I have tried everything and haven't been able to find something that has a good color match and that does not break me out. Some of the things I've tried that haven't worked are MAC foundations, Clinique foundations, Giorgio Armani luminous silk, Face Atelier, NARS sheer glow, Bare Minerals, Cinema Secrets (I just can't find a good shade in this), Kett Fixx Creme, CoverFX, Stila and the list goes on. I was maybe thinking about trying Graftobian but have no idea what shade I'd be. In MAC, my best matches are the C40 in the Studio Fix powder and C6 in the Face and Body. I do have yellow undertones, but find that sometimes foundations can almost take on a greenish cast if that makes sense. My skin is combination/oily. Thanks for any suggestions you might have. Sounds like you’ve tried a lot of foundations. Hopefully you’re taking advantage of the return policy. My shade is anywhere from NC42-43 to sometimes NW35 in MAC, it just depends. I think what you may need it to find the correct powder to get your tone right. I use MAC Medium Plus MSF natural in the winter and then MSF in Medium Dark. It really helps to give my skin more of a brownish yellow tone. Another powder that works great for me but haven’t used in a while is Pur Minerals Pressed Powder in Medium Dark. 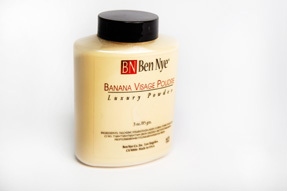 I also like Ben Nye’s Banana powder if I feel like my skin is looking too dark and I need a glow and lift. It’s got a yellow tone so it’s perfect. 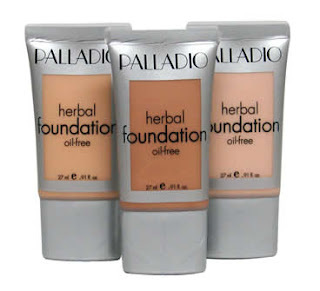 In terms of foundations, surprisingly on myself I really like Palladio Liquid Foundation in Honey Beige and Sandy Beige. I reviewed it a while ago and I find that it’s really nice on the skin and the tone of the foundation is a really good match. I also like using Eve Pearl HD Dual Powder in Tan…the lighter shade is perfect and then I use the darker color to contour. Let’s see…I love my MAC Studio Tech in NC43 because the finish is really nice but like I said, the shade is a bit off so I usually adjust it with MSF. If you have a problem breaking out, make sure to test the foundation on a patch area first. Also, if you have a tendency to break out consider switching to disposable sponges. Make sure to also use a good primer that will control oil and prevent oxidation. Hope this helps some of you, good luck! *Update July 2017: I made another post on on my updated foundation recommendations for tan skin, check it out here. Great post really needed this! Purdyfaces - i recommend MAC pro invisible set powder - it's a white powder but it really is invisble (unlike those silica powders like MUFE HD) and light and does a great job at setting. Try using a duofiber brush to apply your powder so that it doesn't clump up. can I put on bbcream and foundation altogether? I know you own graftobian and Kett fixx creme foundations, what would be Kett fix creme matching shade for graftobian prima donna? Twitter Giveaway to Celebrate 8,000 Followers!